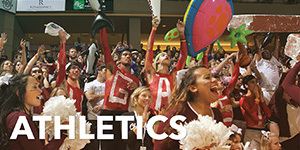 For much of the Class of 2018, the year 2012 was spent in high school. 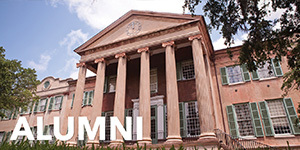 But for one dinner jacket-clad Cougar who crossed the Cistern last month, 2012 included his first semester at the College. “My girlfriend and I were trying last night to count how many semesters it’s taken me to get here,” says Jordan Vacchiano, a 30-year-old business administration major, on the eve of his graduation. “We eventually gave up laughing,” he jokes. Many students’ experiences make the phrase ‘four-year degree’ an oxymoron. Nationally a bachelor’s takes an average of 5.1 years. For some the journey is longer. 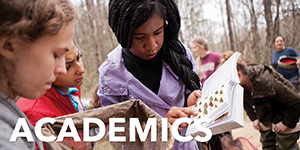 Around 60 percent of students receive their diploma six years after matriculating, according to the National Center for Education Statistics. Vacchiano is one of them. But it’s what he’s been doing outside of class that’s of note. Since enrolling more than 2,000 days ago, he has worked full-time as a member of Ladder Company 4 at the Charleston Fire Department’s Coming Street firehouse. Humble but direct, Vacchiano looks like a stock photo of the quintessential “firefighter” – exactly the sort of person you’d want climbing into your burning house when you need retrieving. The Cincinnati native went to work fresh out of high school. 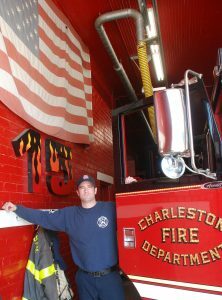 He’s been stationed full-time at the fire house – one of Charleston’s busiest – since moving to the city in 2009. In 2012, a colleague mentioned a small tuition-reimbursement program available for those in his line of work. Faced with taking out student loans to cover the rest, Vacchiano mulled the decision. There was nothing explicit to be gained by pursuing a degree. He had a rewarding full-time job – the very thing most students go to college for. There was no promotion lying in wait. His family hadn’t been haranguing him to get one. Like any prospective student – regardless of their age – everything about the experience was new to Vacchiano. And as everyone knows, it only gets harder. Several semesters Vacchiano was double-booked, working and going to school full-time. He’s never taken a semester off. Many of his six years at the College included summer sessions. All the while he was pulling 24-hour shifts at the fire house. During his first year, Vacchiano calculated how long – at his current pace – it would take to get his degree. 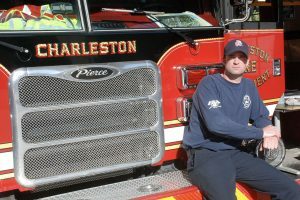 Jordan Vacchiano has worked with the Charleston Fire Department since 2009. 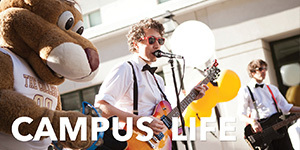 Nearly every Cougar faces challenges both on campus and off. For Vacchiano a required business statistics course took him three attempts and an expensive private tutor to get through. A serious injury on the job once left him nearly bedridden during final exams. What is the secret to his perseverance? Put another way, Vacchiano owes his colleagues six years’ worth of favors. “They have had my back the entire time,” he says. 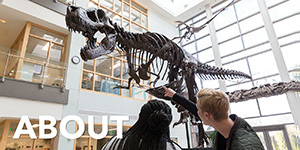 Asked if anything stood out in his college memories that surprised him, the new alumnus said Addlestone Library. Vacchiano says he wouldn’t trade his journey across the Cistern. It’s been tough, but worth it. Now he’s taking a step back to assess his achievement. His advice for Cougars traveling a longer path than others is simple. 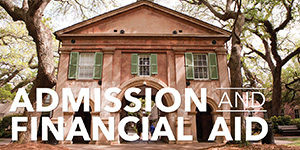 By joining the Friends of the Library, you support the resources, people, and facilities essential to both preparing students for academic achievement and building a dynamic learning environment for the entire Charleston community.